Agra, the City of Love, the city that is home to one of the Wonders of the World, the stunning Taj Mahal. But there are a lot of amazing things to do in Agra apart from visiting the universal symbol of love, and we’re here to shed a little light on that very subject. Because, we’re going to be there and we’re sure that you, dear reader, will come down to visit us very soon. So, let’s begin the virtual tour! 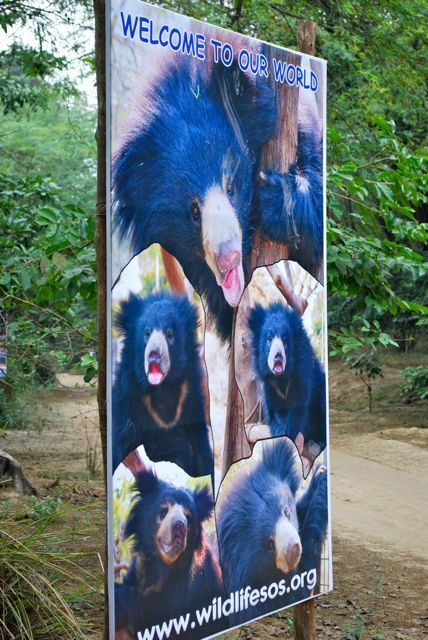 This is the world’s largest rescue rehabilitation center for Asiatic Sloth Bears. The facility is sprawling over a large area, beautifully developed and you can see the bears interacting with each other or climbing trees. Most importantly, they’re all happy and taken care of! This place literally translates to ‘Garden of the Merciful Lord’. The marble work and decor is brilliant – fruits, fruits and other gifts of nature coming to life through the marble. Get a bird’s eye view of the Taj Mahal, or hey, the entire beautiful city! An experience you’ll never forget for sure! This World Heritage site is a sight to behold! Wonderfully maintained and the architecture is lovely, each wall has a different story to tell from a different time in history. There’s even a light and sound show. It’s one of the larger mosques in India, built over a period of 6 years by 5000 workers! Lovely geometric designs, stunning calligraphy and a feeling of peace and calm washes over you as you walk around it.